It has been a week of snow, rain, fog, sunshine, high winds, and freezing temperatures. The vistas are still dormant, the fields a matted carpet of dull brown, dead leaves and grass. The trees leafless. 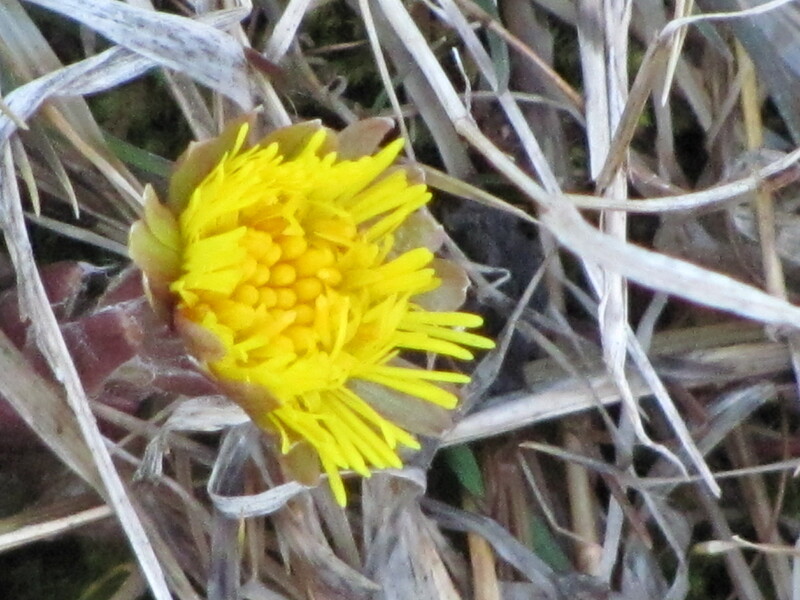 Out for a walk, the ground soggy beneath my rubber boots, I spotted a Colts Foot. 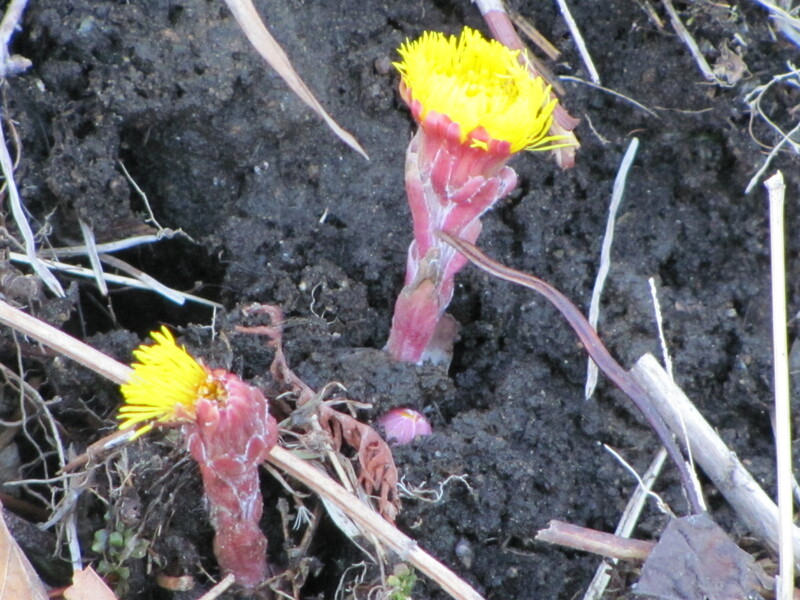 Still leafless, peeking out from the dormant grasses and rubble, a bold burst of bright yellow. One of the earliest to bloom in spring, this little flower defies the odds, and gives me hope. A sure sign of spring, in the details close at hand. And a reminder of nature’s power to inspire great design. Drawing heavily from nature in their designs, Marimekko emerged in the early 1950’s in a new independent Finland. The company is synonymous with Finland and great design, renowned for its original prints, bold colors and stripes to adorn home and body. And long averse to flowers, an entire collection is now made up of floral patterns, along with their ever-changing graphic interpretations of the shapes and colors found in nature. The Design Museum in Helsinki is currently featuring an exhibit on Marimekko, now on my long list of places to go when I visit Finland in May. A travel wish come true.